BeachFleischman PC is an active member of the Leading Edge Alliance, one of the largest international professional associations of independently-owned accounting and advisory firms. The Leading Edge Alliance enables BeachFleischman PC to access the resources of a multibillion dollar global professional services organization, providing business development, professional training and education, and peer-to-peer networking opportunities nationally and globally, around the corner and around the world. Members are top quality firms who are successful, have enduring client relationships, and long standing ties to the community. The Alliance provides BeachFleischman PC with an impressive combination: the comprehensive size and scope of a large multinational company while offering their clients the continuity, consistency and quality service of a local firm. 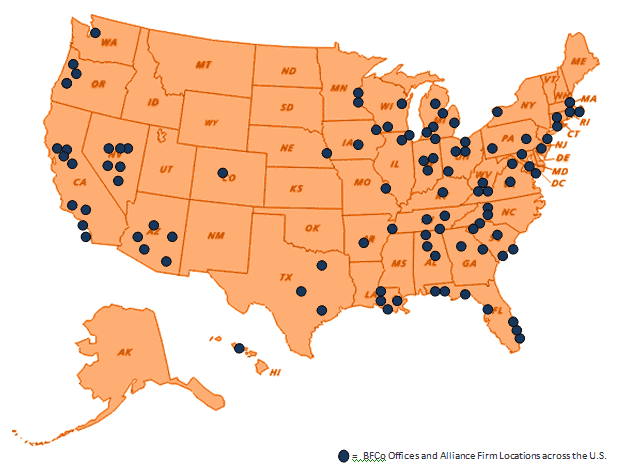 Member firms have access to extensive teams of business advisors – a peer-to-peer connection that provides the right business solutions for clients. Access to extensive teams of CPAs and business advisors – a peer-to-peer connection that provides the right solutions for clients. Innovative, practice proven strategies for improving performance in management, business processes, finance, operations, information technology and marketing. A leading knowledge resource for multi-disciplinary information and industry-specific expertise responsive to clients’ unique needs. The strength and reputation to attract the highest quality team members. 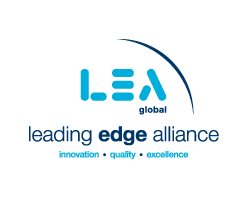 The Leading Edge Alliance offers world class business advisory expertise and experience with innovation, progressiveness and quality. To find out more about the Alliance contact Karen Kehl-Rose, President, at +1 630.513.9814, or email kkr@The-LEA.com.